Patch 5.2 is up and running on the PTR and I played it a bit yesterday. 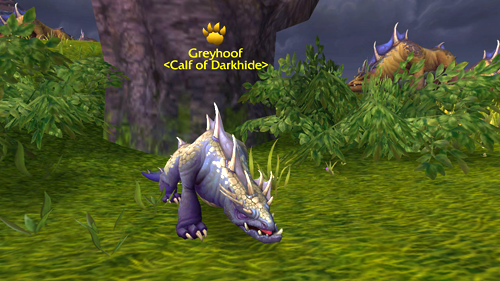 First with all of the reports about epic battle pets I had to check them out. They are there, spread out about the countryside, ready to be captured by pet tamers who are up to the challenge, except for one thing. 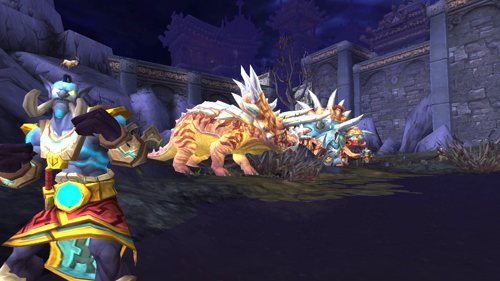 The character copy procedure did not copy over battle pets (Or even battle pet training). So the only pets that I have are the ones that were mailed to me. And those are only level 1. So it’ll be a while before anyone has a team leveled high enough to tame any of these. I did snap a few pictures though. 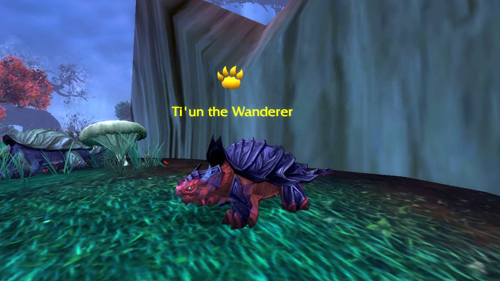 These new pets are all named and have gold dragons around their portraits. And their mini-map icons are Orange. Here are a couple of others that I was able to find. I also did a little poking around the Island of the Thunder King which has been overrun by Zandalari Trolls who, I found out, like paparazzi about as much as Sean Penn. I did get a nice shot of the triceratops though! Oh nice. As I understand it, we’ll only be able to battle them not capture but this is one addition I’m really looking forward to. You’re right. 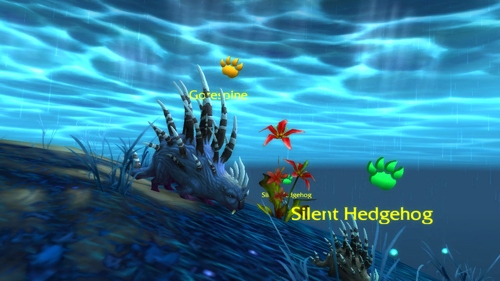 I just confirmed on the PTR that you can’t actually catch these pets. You can just fight them.